Those following Scandinavian and international fly tying groups on Facebook know Markus Hoffman and his creations. Just as his fellow countryman Thomas Roos, he has managed to climb to the very pinnacle in the world of fly tying. He is tying in the Champions League for fly tiers. From his home base in Uppsala (Sweden) he inspires youngsters and experienced fly tiers with techniques and patterns only a few can master, let alone create. Lucky is the trout that’s tricked by one of his flies. “I simply love cooking! In particular I love to serve traditional Swedish dishes like “Ärtsoppa (Peas soup) med Tegnér och son punch, Kålpudding (Pudding of cabbage) and grilled pork”, he says. 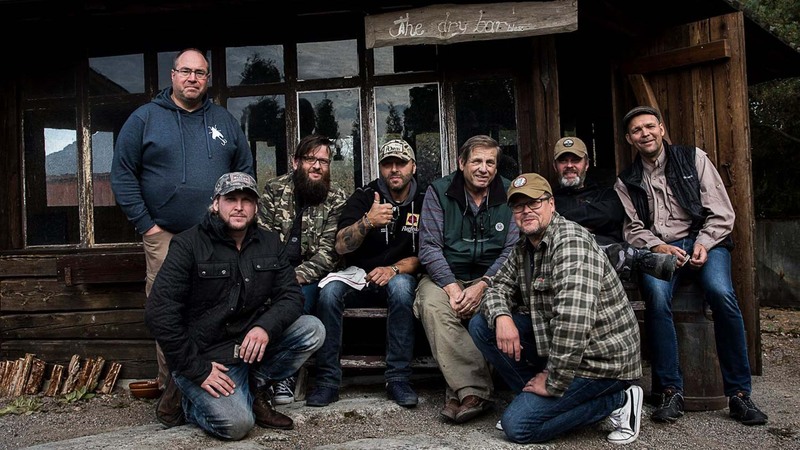 “A lot has happened since I started fly fishing ten years ago. I used to be a trouble maker, the bad boy, but has straightened up and I guess I have become fairly likable”, Markus Hoffman starts. And likable he is. If you meet him by the river, the odds of him smiling and giving you some good advice are high. He loves sharing. If you’re frequenting river Rena (Renaelva) in the first week of July, chances are high that you’ll meet him somewhere around the river banks. Staying at Rena Fiskecamp, fishing for trophy trout and grayling in Rena has become a tradition for him. “Unfortunately, this year is the last at Rena Fiskecamp since its been put up for sale. I have learned a great deal about fly fishing from Lars B. Johansen, the owner, during my years at the camp. Especially how stupid and pointless barbed hooks are”, says Markus Hoffman who plans to fish Grimsa and Gravfossen (Norwegian rivers), in addition to Serbia and Ransarån (Sweden) this summer. Hoffman’s activities in fly tying and fly fishing goes beyond his own fishing and tying. Twice each year he invites fly tiers from around the world to WoodsTorrt, a fly tying weekend for tiers longing for workshops to share new techniques and experience. “Even if WoodsTorrt in principle is open to everyone. I think they love WoodsTorrt because they get a weekend in great surroundings where they can just have a good time”, Markus says. Good food is a prerequisite for a good weekend fly tying. As one of the best behind the vise, its only natural to ask Markus the question: Which flies are regulars in your box when out fishing in spring- and summer? “First of all, you can’t force me to choose a favorite between trout, grayling and arctic char. I love fly fishing rivers for fish. End of story”, Hoffman laughs. But despite the stubbornness, as all fly fishers Markus Hoffman does have a preference. And it’s not the brownie that tops his list. “If forced, guess I’ll have to choose the arctic char. The fish itself looks a million dollars, and the char is insanely difficult to catch. But I guess that’s life. You always crave for the most difficult catch”, he smiles. Markus Hoffman started his career by tying realistic flies, some of which you can see on his own web page. But as years have passed, he now concentrates on the efficient fishing flies. 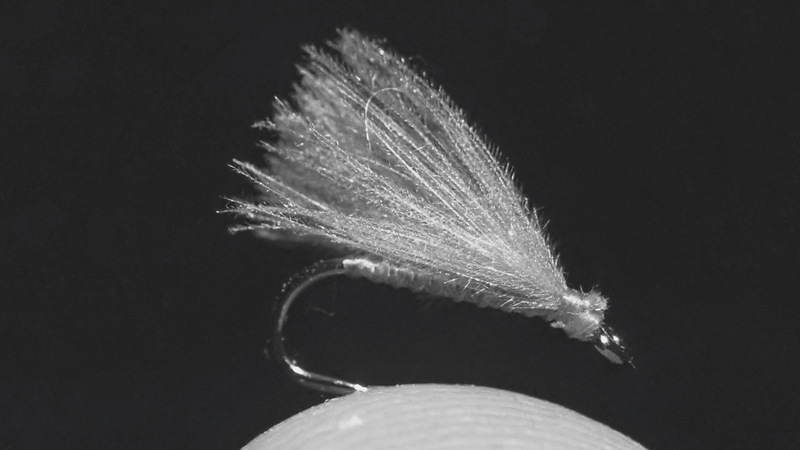 The Quill Emerger is simply put an emerger with a body of stripped peacock quill, and an upright CdC wing tied and cut Smahen style. “The Quill Emerger is the bridge between a catastrophic day at the river and success. The fly can match different hatches but is created to imitate the hatching Baetis. The wing contributes to stability and a fantastic profile. The way the fly floats makes it extremely effective”, Markus explains and adds that the pattern is best suited for slow streams. After the birth of his Quill Emerger, the pattern has changed slightly from a curved TMC 212 hook to a standard dry fly hook. “That’s simply because a mayfly doesn’t hatch upright, but level in the film”, he points out. The F-fly by the Slovenian legend Marjan Frantnik is probably responsible for catching more fish than any other patterns the last 100 years. The fly is an extremely fast tie because of its simple design. The efficiency of the fly partly comes from the fact that it can mimic several hatches. The F-fly is therefore also known as an ideal searching pattern for crystal clear waters with easily spooked fish. “It’s no sensation that the fly is in my standard repertoire. The simplicity in combination with the efficiency makes it a fly that’s hard to beat. I use it in several situations, but particularly when the Caddis flies are starting to get active late in the Scandinavian summer”, Markus Hoffman explains. Markus is careful not to cut the ends of the CdC wing. He is also ties the wing in at a 90 degree angle at the eye of the hook, thereby creating a more robust fly. 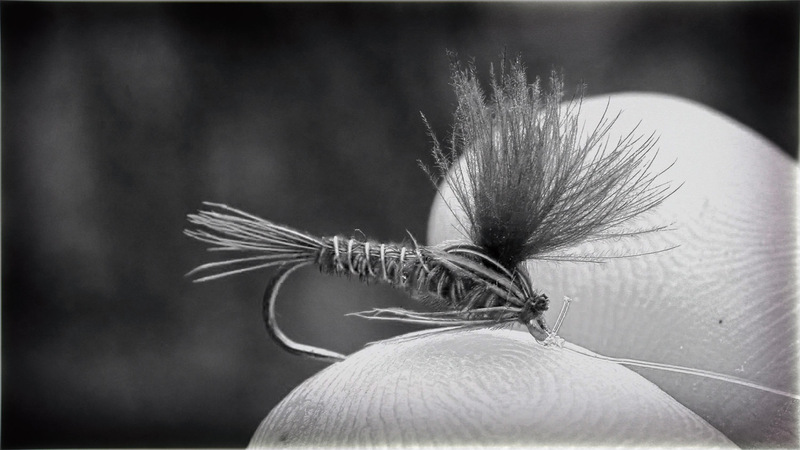 The Pheasant Tail nymph is probably one of the most classic trout flies ever. The pattern has been modified several times since Frank Sawyer, the river keeper for “The Fishing Association” in Wiltshire, England, introduced the pattern in 1958. 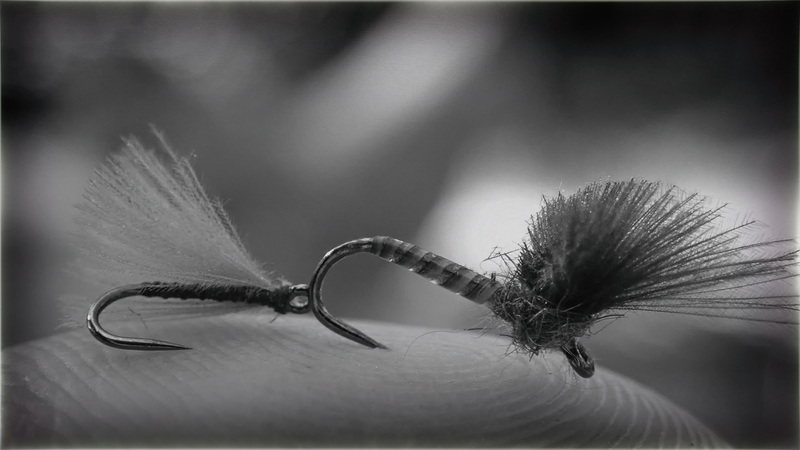 Markus Hoffman has also modified the pattern and introduced a semi floating variant that imitates the emerging stage of the may fly. “Even though I haven’t seen this variant before, I guess the pattern has been tied before. Anyway, the PT Emerger has become a personal favorite. As the name implies, it’s a PT nymph with a floating west made from CdC. Recently we fished a Sepia Dun hatch, and the PT Emerger out fished all other flies”, Markus concludes.